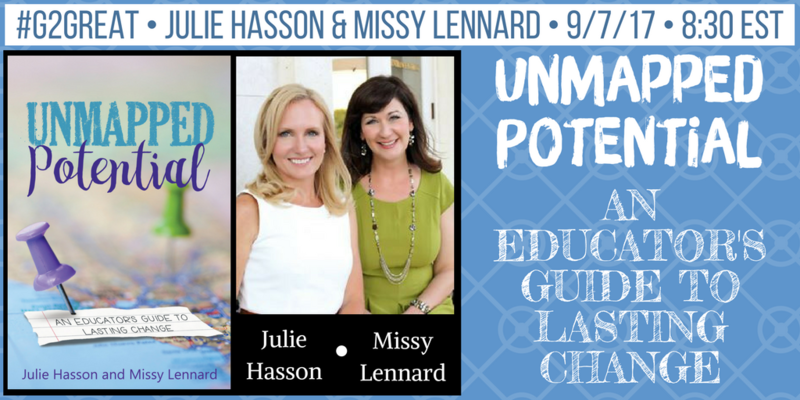 On September 7, 2017 #G2Great welcomed Julie Hasson and Missy Lennard as guest hosts to discuss their book, Unmapped Potential. 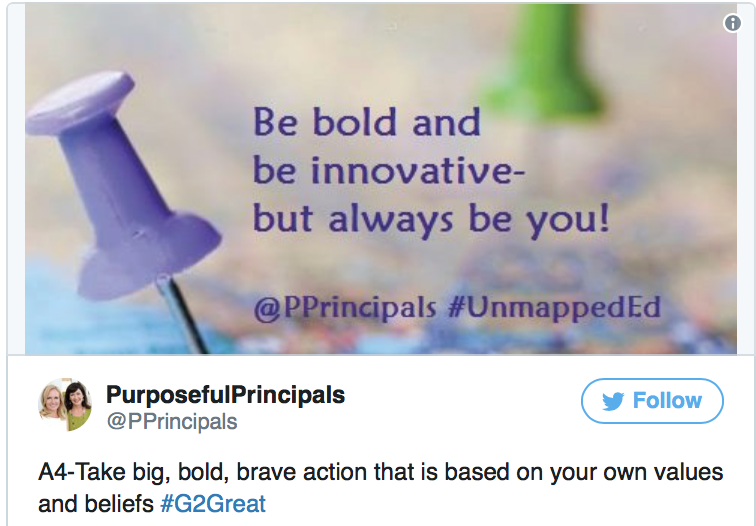 Julie and Missy ( @PPrincipals ) shared with us their experience and self-discovery as they moved towards school improvement as building leaders. 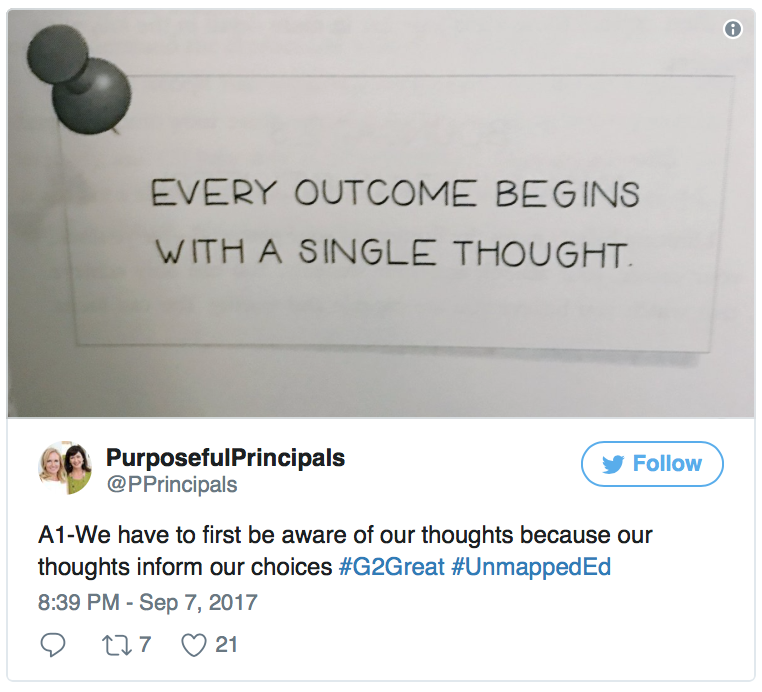 The tweet from Julie and Missy below captures the idea that it takes a belief or a single thought to lead to an action. Being aware of our own beliefs and developing an awareness of whether that belief will lead to an action or not is critical in making a change. We need to be honest and aware of our beliefs to ensure that they are going to make a positive impact and lead to change that will support students in our care. The challenges that come with change require us to be flexible and willing to understand our perspectives as well as the perspectives of others. As leaders, as educators there are so many aspects of our work that are beyond our control. It is critical to remember that while some things may be beyond our control we are truly in control to the way we respond to any given situation or change. Flexibility requires practice, each time we encounter a challenge connected to changes we can use that as an ppportunity to practice flexbility. 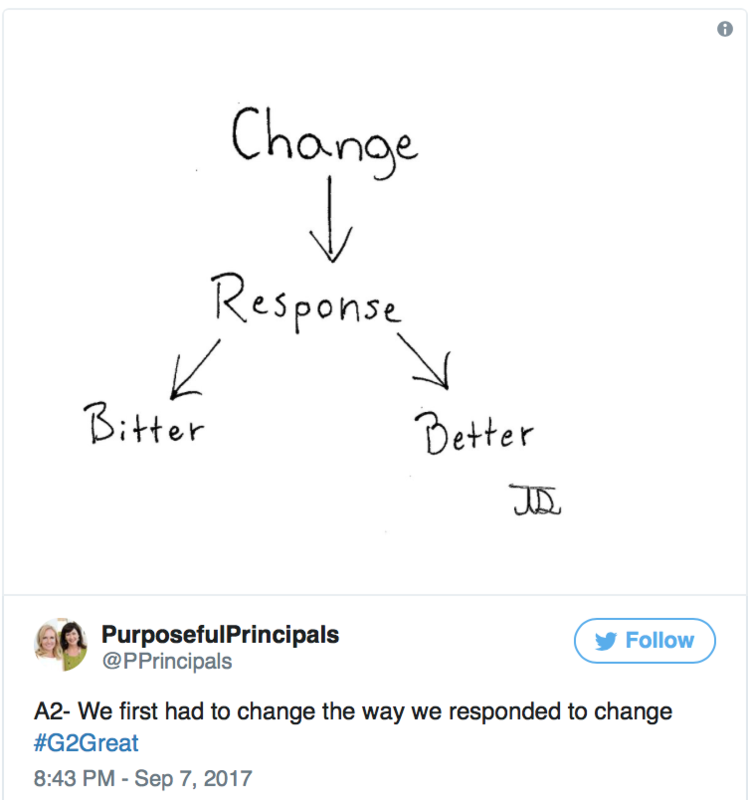 Flexibility in our responses and perspectives can help us navigate a journey to improvement in the name of our students. We will always find what we are looking for, so we need to be certain and intentional in what we see when we look at our students and our schools. Approaching students from a strengths perspective, by looking for what they are doing rather than a deficit model provides a window into what a students can do. This provides an opportunity for learning the very next thing that is within their grasp. 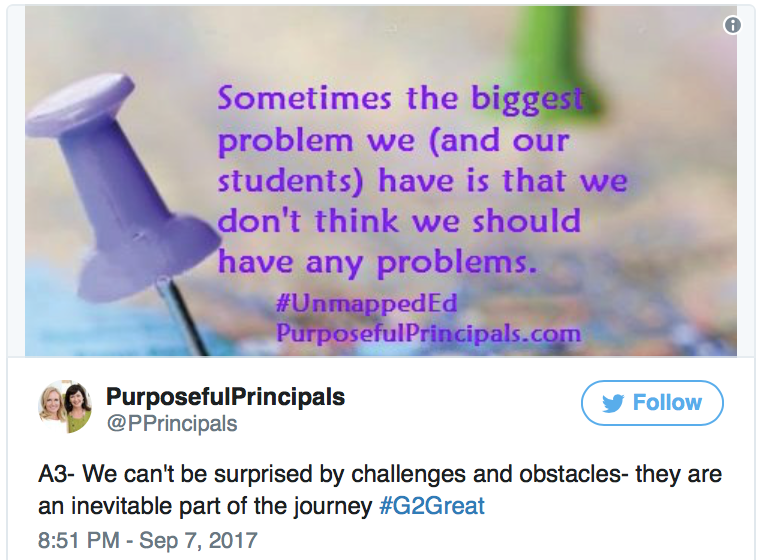 Viewing challenges as opportunities for growth and learning with a lens on a particular student, class, school or district opens up potential. This is Unmapped Potential!